AMACO® Gloss Glazes fire to a smooth, glossy finish at a witness Cone 05. Always slow fire lead free glazes for best results. AMACO® Gloss Glazes flow slightly during firing to a high gloss finish, while correcting most application imperfections. 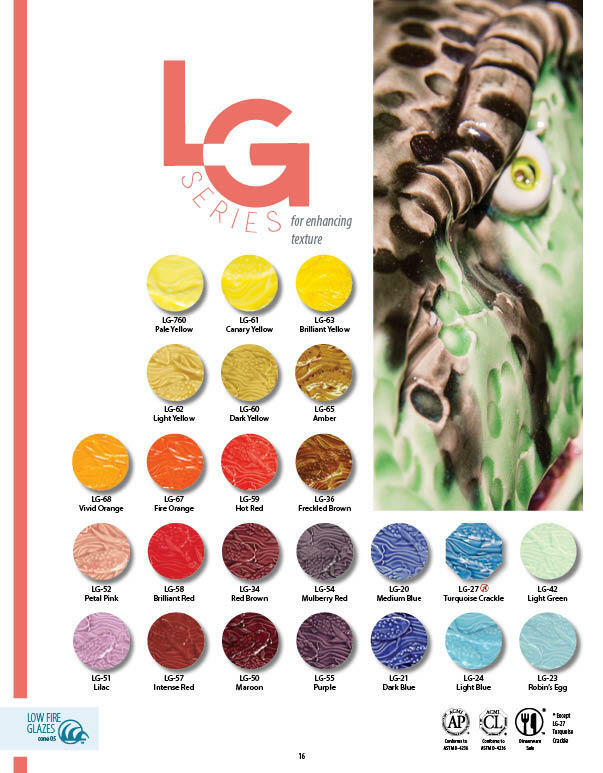 •LG-10 is our most popular Clear Glaze for studios! Here is a downloadable PDF of the Low Fire Gloss page from the 2015 glaze brochure. Ayumi Horie, a contemporary potter, uses LG-10 on her work. Recently she made a series of videos that explore the movement of glazes as it flows off the piece.